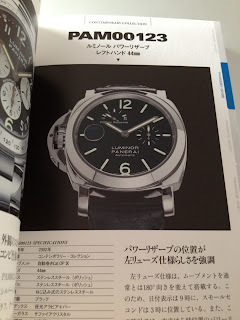 I ordered this Mook (Magazine bOOK) about a week ago. 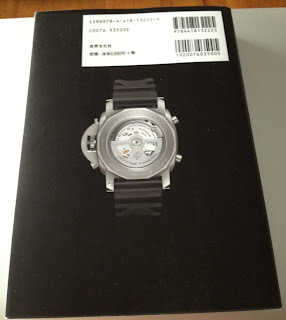 Finally picked it up today. Happy and surprised. Happy because I got a copy and surprised because of the Mook itself. 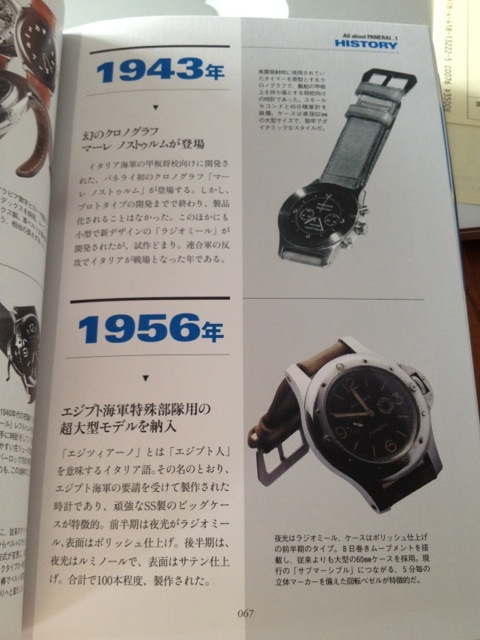 What am I talking about? 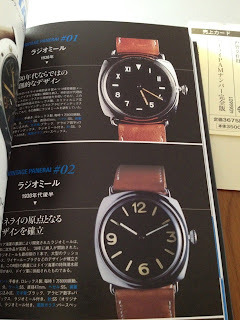 The Mook, Panerai, Complete PAM Numbers. I expected it be typical mook, large but thin. This is small and thick, 353 pages thick. 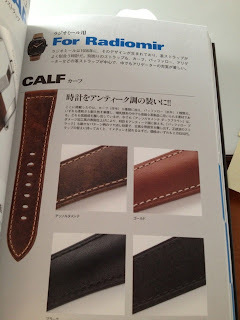 You can order this mook at your local Japanese book store (If you have one). 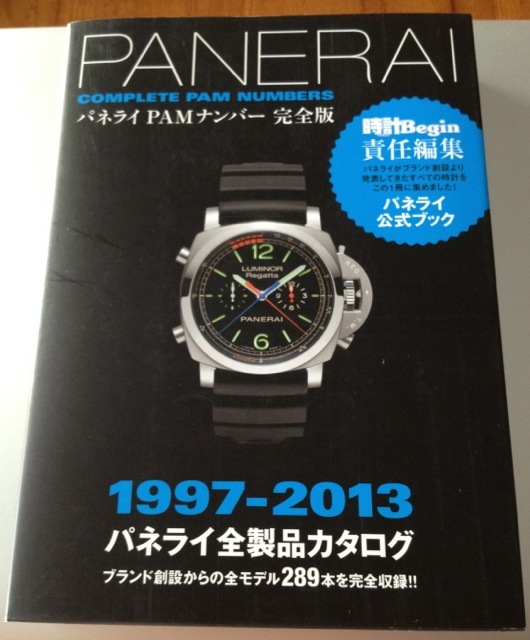 I ordered mine from Kinokuniya. The Mook itself is not bad, not complete but not bad. 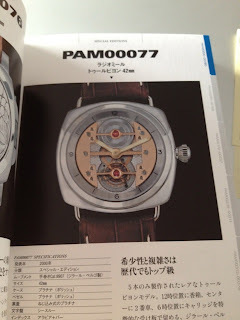 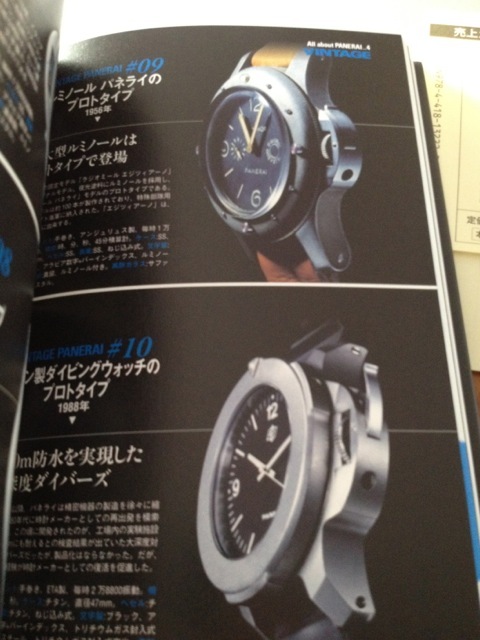 There are a number of sections in the Mook, the main one being the list of Panerai watches issued between 1997 to 2013. There are sections covering straps, vintage pieces and even a section on Panerai's history. Makes a handy reference guide. 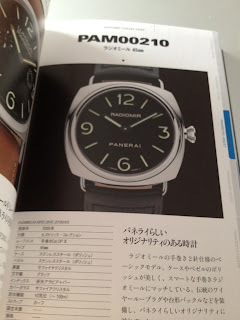 A bit about the history of Panerai. Overall not a bad Mook and attempt. 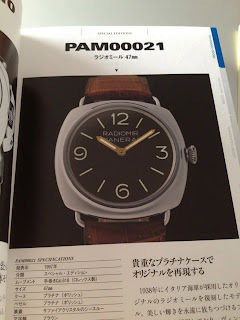 It is not complete, some models are not there like the PAM00390. 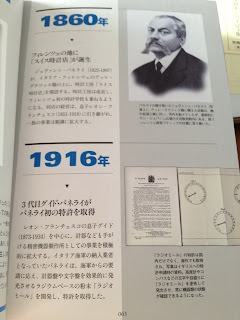 It is also in Japanese but as a simple go to guide, it does what is required. It retails for about NTD 1,500 or about USD 50.